The One Club for Creativity has announced that two top creatives from India have been selected to serve as judges for The One Show 2019. 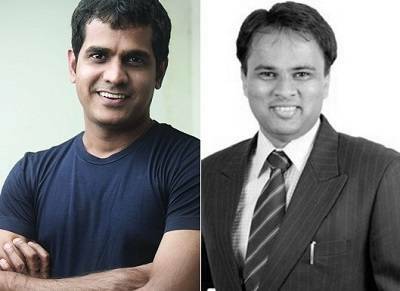 Harshit Jain, Chief Growth Officer, McCann Worldgroup, currently in London, is part of the jury for Health Wellness & Pharma, while Santosh Padhi, Co-founder and Chief Creative Officer, Taproot Dentsu, Mumbai is part of the jury for Print & Outdoor. Nearly 200 highly qualified creatives representing 26 countries will judge work from around the world. The 2019 One Show awards categories include Branded Entertainment, Design, Direct Marketing, Film, Health Wellness & Pharma, Intellectual Property, Integrated with Experiential and Immersive, Interactive & Online with Digital Craft and Creative Use of Data, Mobile with Social Media, Moving Image Craft, Print & Outdoor, Public Relations, Radio & Audio, and Social Media Influencer, Cultural Driver and Creative Effectiveness. The next deadline for The One Show is November 30, 2018 and the final deadline for entry is January 31, 2019. For the first time this year, The One Show will accept submissions for the Green Pencil, recognising excellence in environmentally-conscious advertising and design. In past years, the award was based on nominations. This marks the second year that The One Show will have a standalone discipline for Health, Wellness & Pharmaceutical, judged by a dedicated jury of healthcare advertising professionals for brands and agencies to recognise the best work in the field from around the world. “The Cube” Short Film Unveiled To Support ADC 98th Annual Awards Call for Entries.